Five people were injured on September 10, 2013 in a head-on collision in Harrison County. One man was flown to the hospital and three others were taken to United Hospital Center by ambulance. The fifth man drove himself to the hospital. The site of the accident near the intersection of Routes 18 and 19 near Hepzibah, WV. West Virginia State Police said a man was driving towards Clarksburg at about 6:00 p.m. when a Ford Escape crossed the center line and struck a minivan head on. The man driving a Chrysler Town & County minivan attempted to prevent the accident, according to police. HealthNet landed at the Gore Transitional School to transport the victim. 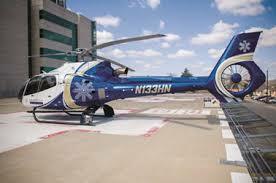 HealthNet flew a male passenger, who was in the Ford Escape, to Ruby Memorial Hospital, according to state police. His name and condition are not being released at this time. All three who were in the Ford Escape were taken by Harrison County EMS ambulance to United Hospital Center. Their present health conditions are unknown. Police say drugs or alcohol were not factors in the crash, but other charges are pending. As the victims of this car/van accident wisely realized, it is critical to seek prompt and appropriate medical treatment after a collision. Following the initial treatment, don’t allow any interruption in your treatment without a good reason until fully recovered. Keep in mind that if you intend to file an insurance claim to recover for your medical expenses, lost wages, and future expenses related to the accident, if you skip appointments or fail to follow through with prescribed treatments, the insurance company and their defense lawyers will argue that you must have felt that you were fully recovered from your injuries and had no need of continued treatment or compensation. Additionally, much of the work that was done by insurance adjusters to evaluate claims in the past is now done by computers. If the required documentation is not entered into the computer in language and codes the program understands, the program will not properly evaluate your injury and may deny the compensation due to you. A knowledgeable personal injury attorney will know how to present the medical evidence the computers are designed to recognize. If you have questions regarding a car accident claim, call the Robinette Legal Group today and ask to speak to Jeff Robinette, a former insurance defense attorney, who can advise you on the best course for you to take in dealing with the insurance companies. Call 304-594-1800 or after hours, 304-216-6695 today, or visit our Legal Advice website and click on Find Answers to your Questions.